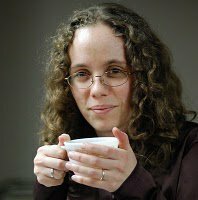 Lydia Schoch is a science fiction and fantasy author from Toronto who has been blogging on various platforms since the early 2000s and publishing books since 2014. She is a big fan of Buffy the Vampire Slayer and Call the Midwife. She is not a big fan of brussels sprouts. You can also connect with Lydia on Twitter and Goodreads. This blog always has new content on Mondays and Thursdays. Additionally, it sometimes participates in the Top Ten Tuesday and Weekly Wednesday Blogging Challenge blog hops.